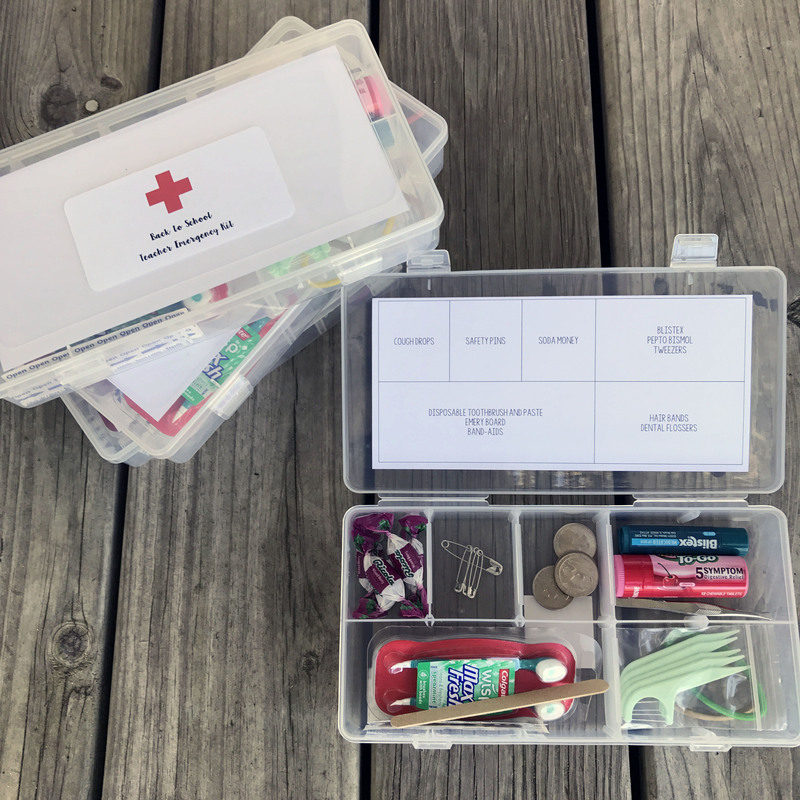 Since my children started attending elementary school, I have been cooking up some little back to school teacher emergency kit to give my kids’ homeroom teachers on the first day of school. Each year, the kits are a little different, but the contents are always based on items I need at school but don’t always have. I usually change up the bag or box to hold all of the items, but this fall, I am returning to the plastic bead box with removable divider slots that was the first container I ever used. The Box: I purchase the bead storage boxes from Michael’s. It has ten slots with removable dividers. I remove a few of the dividers to make sections of the box bigger depending on what I have that needs to go in the box. The Contents: Below is what I included in the kits this time. 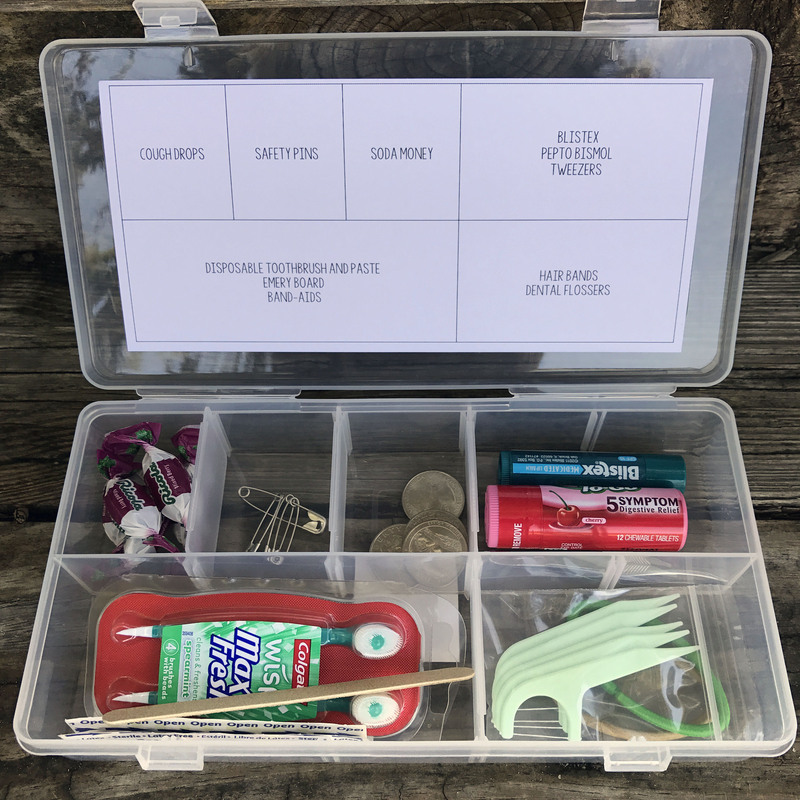 You could also consider adding things like mints, a good Flair pen or Sharpie pen, travel sized lotion, Advil or Tylenol, mini Windex wipes for electronics (I have seen these at Target), a Tide to Go pen… I browse the travel-sized aisle at places like CVS and Target for inspiration. The Labels: I printed THIS 2″x 4″ label for the lid of the box using a Red Cross style logo to make it look like an emergency kit. I created a table for the inside of the box and printed it on cardstock. Using a paper cutter, I cut it down to fit the inside lid and attached it with clear tape. I wanted the “map” on the inside to look like one of those lists they have in the big chocolate candy boxes, so you know what kind of chocolate you are eating. Here is a copy of the Teacher Emergency Kit Map. 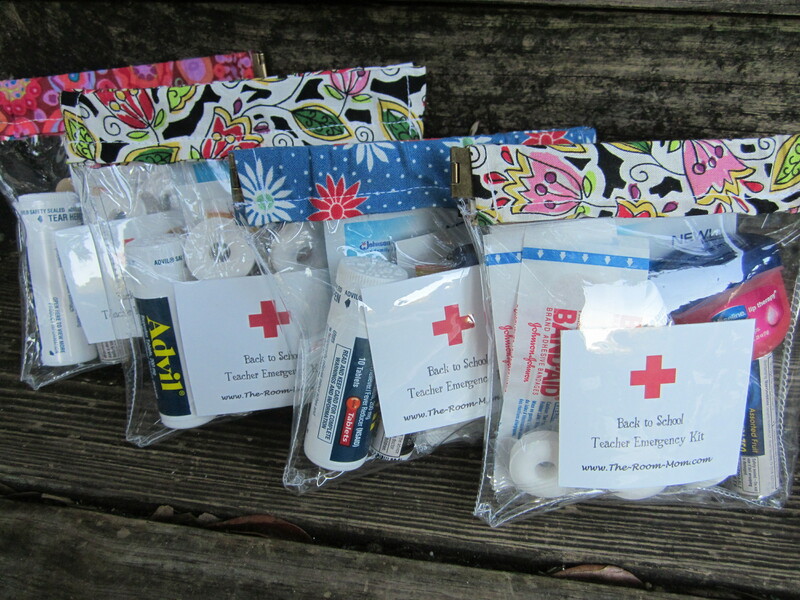 To get more inspiration for Back to School Teacher Emergency Kits, take a look at some of mine from previous years by clicking the links below.